On the west wall of the north transept in the Church of St Peter & St Paul is the monument to James Noel. 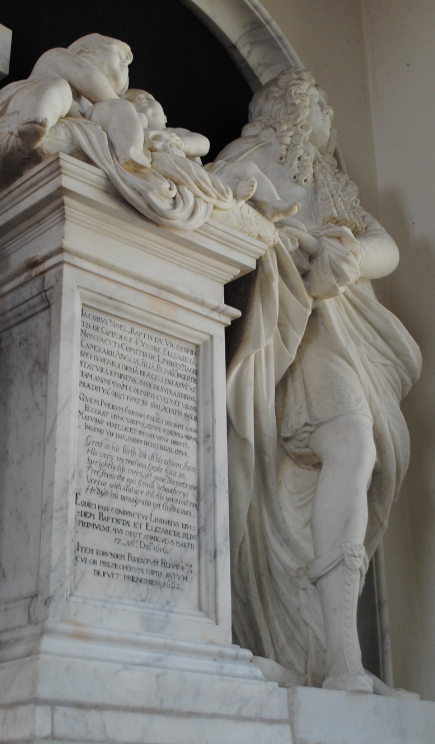 The son of Viscount Campden, James died in 1681 aged 18 years. 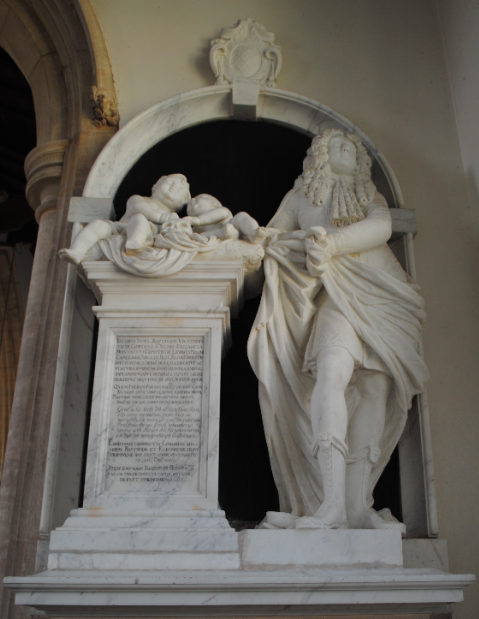 The white marble effigy represents James resting on a pedestal where two infants sit on a cushion. The pedestal inscription has both English and Latin verses.